Sports should be of major significance in each one of our lives as it is a source of entertainment and great way to keep fit. Decathlon has opened its grand store in Sohna Road which can be tagged as the one stop shop for all your sporting goods and accessories. A Sunday morning in any household is a lazy and laid-back morning that is either spent for relaxation or completing some pending household chores. 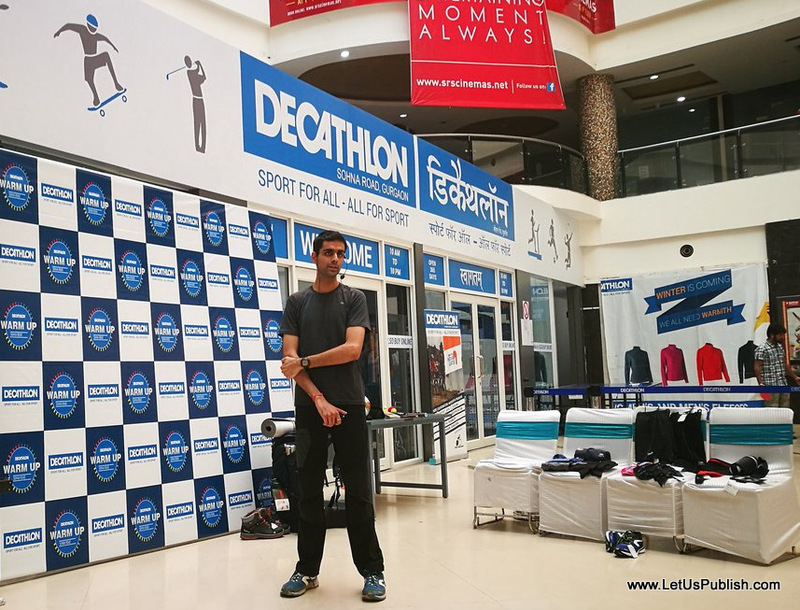 In one such Sunday morning, the popular sporting goods manufacturer and retailer Decathlon had organized the ‘Warm Up’ workshop in their posh Sohna Road store on 23rd of October’16. Several health-conscious and sport lover citizens like me from Gurgaon and other parts of NCR had turned up in the workshop. The entire session was nothing less than amazing. The session could be ideally tagged as informative, inspiring and also infectious. All the experts wanted to do through this event is to inculcate the inspirations behind taking up sports in our lives. Sports keeps us healthy, boosts our self-confidence and also enable us to keep in touch with our inner selves. The thing that fascinated me the most us the presence of such two people who lead normal lives like devoting full time to job and family and still are experts in two different sports – running and hiking. Isn’t it inspirational? One of them was called Chetan Sehgal who is a real estate professional and along with it is a dedicated hiker. He delivered a speech in the workshop on how he got into this sport and the quantum of solace that he gains by playing this sport. In his speech, he had said that how people especially in the metro cities are occupied with their work and other duties throughout the day and find nil time for themselves. We all get bogged down by our duties so tremendously that we hardly find any time to spend for ourselves. He added that “Hiking” is the ‘me time’ that helps him to rejuvenate and strike a balance in life by overcoming the day to day monotony. He also said that that most people perceive hiking as a very tough sport but it is just a myth. All that an individual require in order to adopt hiking is will power. He also explained several facts and figures related to hiking. The sharing of the personal experiences from Chetan engaged the participants very well and there were several listeners who threw questions related to hiking. The amazing part was that the answers came out prompt from Chetan. People were of the view that it was really worth their time to visit this workshop and frankly I do not differ from their opinion. Captain Dharamveer was the next speaker who was a corporate professional and at the same time a running enthusiast. I must say that he possess extraordinary oratory skills which helped him to connect with the listeners pretty instantly. 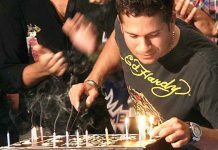 He shared his experience on how he transformed himself from being a chain smoker to a healthy man who is never tired of running several half-marathons. He very emphatically explained that his life story is nothing different from several other normal people who gets bogged down by stress in life. He added that he is no exception and he completed his studies, joined army, retired from army and now pursuing a corporate career. One fine day he felt that he was doing nothing for himself during the course of running the race of life. Then he decided to run for himself. And thus he is in front of a large crowd sharing his inspirational story with all present out there. The participants were highly inspired to hear Dharamveer’s journey from being an unfit individual to one who regained his health and self-confidence. There were many participants in the event who related themselves with Dharamveer and also narrated their personal experiences which are related to their cricket bat, cycling gloves, badminton racquet etc. This goes without saying that the Decathlon workshop thoroughly communicated the message regarding how a sport even when played in non-competitive level can change one’s life positively. The significance of playing a sport be it as simple as running or as complex as hiking also bears fruitful outcomes for the individual who have adopted it. Truly speaking, attending this workshop has been a great experience for me and it pushed me out of my comfort zone and inspired me to practice a sport regularly for boosting fitness and self-confidence.